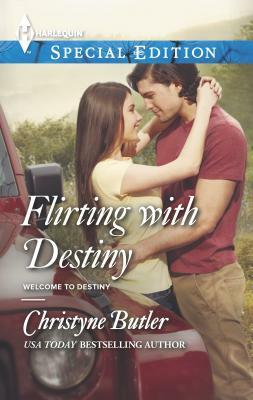 USA TODAY bestselling author Christyne Butler presents this story of healing, hope and love in her Welcome to Destiny series It's a tough road to recovery for Devlin Murphy after a helicopter accident leaves scars that are more than skin-deep. But there's a new girl in Destiny, Wyoming, who's got the healing touch. Sure, Tanya Reeves's approach--acupuncture, anyone?--makes Dev's eyes roll. The woman also makes his heart rev up like no other. For her part, Tanya can't believe it when she first runs into this fling from her past. Dev doesn't even recognize her Even crazier--history is repeating itself with this irresistible man. And Tanya has to ask herself: Who's healing whom? Christyne Butler fell in love with romance novels while serving in the U.S. Navy. She started writing her own stories in 2002 writes contemporary romances full of life, love, and hint of laughter. And there has to be a happily ever after or she s just not satisfied. She lives in central Massachusetts with her family and loves to hear from her readers at chris@christynebutler.com."